Good Agile and Scrum resources are just as important as good Scrum training. Reputable resources are a key part of the Scrum journey, no matter which part of the pathway you're on. At the start, resources are an excellent way to provide a better foundation prior to training. As you move along your Agile pathway and implement Scrum at your organization, the right resources can provide guidance and support. And, as you become more knowledgeable, these resources can provide shared reference points and understanding with team members and colleagues. ​Here are some of our favorite free resources. We're adding more all the time, so please stop by occasionally to see what's new. Agile Glossary flashcards to help you learn the lingo, sharpen your vocabulary, and challenge your teammates. Click to download and print your own. The Agile Manifesto is a formal proclamation of the 4 values and 12 principles which guide all Agile frameworks. 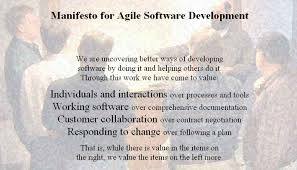 Sometimes referred to as the Manifesto for Agile Software Development, the Agile Manifesto has been translated into more than 60 languages. The Scrum Guide contains the definitions of Scrum, consisting of Scrum's roles, events, artifacts, and the rules that bind them together. The Scrum Guide is written by pioneers of Scrum, Ken Schwaber and Jeff Sutherland. Most recently updated in November of 2017, the Scrum Guide is available for download in 40 languages. The Scrum Reference Card is a 6-page summary of Scrum organized in an easy-access manner which makes it perfect as a quick reference or overview for those interested in the mechanics of how Scrum works. Available for download in several languages. 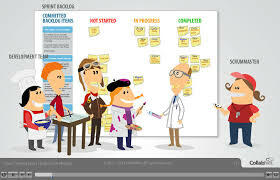 The Scrum Training Series is a set of free online e-learning videos consisting of 6 fun animated modules with embedded quizzes. This Scrum Training Series is recommended for anyone who wants to improve their Scrum knowledge or dispel common misconceptions. 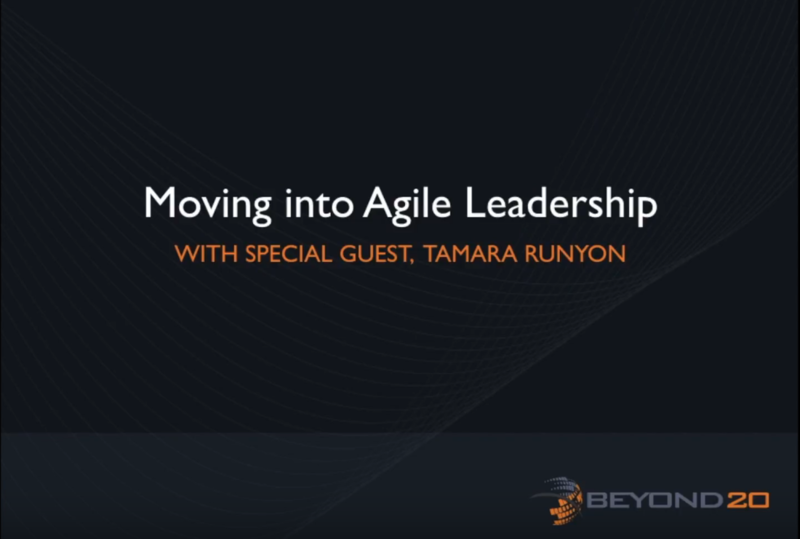 This interview with Tamara Runyon explores how Agile leadership can address volatility, uncertainty, complexity, and ambiguity in today's business world. 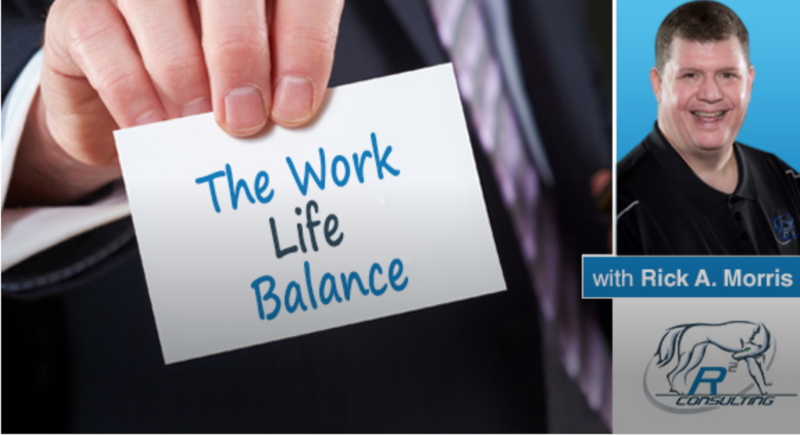 Join Tamara and podcast host Rick Morris as they discuss the nuances of Agile leadership versus a more traditional leadership environment. This paper evaluates agile practices when applied in multi-team and multi-person-year projects. It does so through inspection of the requirements brought on by scaling projects, and applying basic agile principles to those requirements. In the introduction section the main agile principles are introduced, as well as the Lean principles upon which the agile methods are built. The Scrum framework specifically focuses on maximizing ROI. However, it does not define how to manage and track costs to evaluate actual ROI against the vision. A reasonable cost measurement that integrates with Scrum would help provide and additional feedback loop. To solve this problem, we adapted Earned Value Management (EVM) using values defined in Scrum. The result is called AgileEVM (Agile Earned Value Management) and is a simplified set of earned value calculations. AgileEVM is an adaptation of the traditional project management practice of measuring actual value of integrated cost, schedule, and scope against a baseline plan using Earned Value Management (EVM) metrics. This paper by APMI's Certified Scrum Trainer Tamara Runyon shows how methods of EVM measurement have been adapted to easily fit within the Scrum project management framework. How does managing Agile teams differ from the traditional management style? In this live webinar recording, APMI's very own Certified Scrum Trainer Tamara Runyon discusses how Agile teams work differently and what Agile leaders must do to ensure their teams' success.